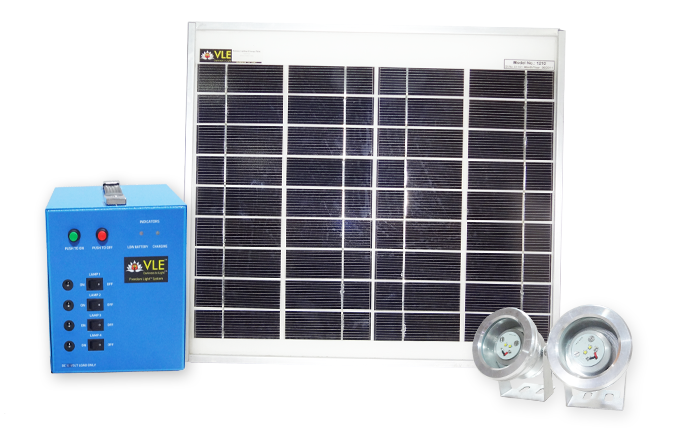 The VLE MNRE Freedom Light Systems consist of a family of four Solar-LED lighting systems. 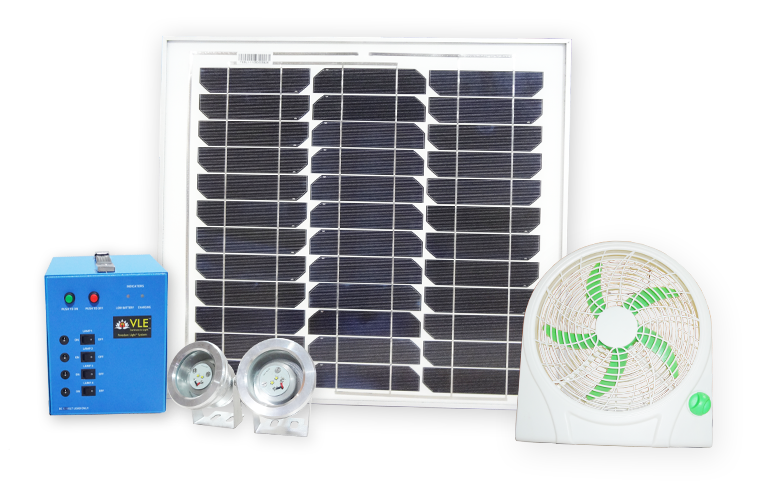 The FLS’s are straightforward to install and operate, and are essentially plug and play. 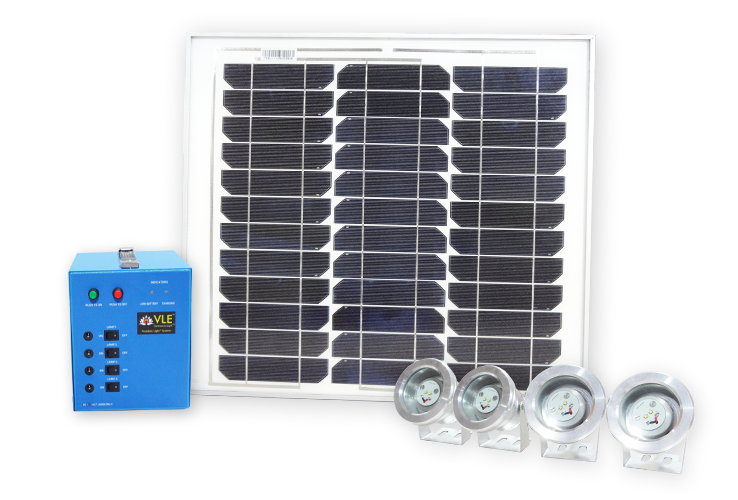 The Control Center contains the Charge Controller, Switches and Connectors for lamps, Low Battery and Charging LED indicator lights, Master On-OFF switches, system Fuse, and Solar Panel and DC Adaptor input, and as it can accommodate any of the three battery sizes it allows the client to upgrade very easily when a larger system is desired. The Sealed Lead Acid Battery will continue to function for many years because of the low Depth of Discharge that has been designed into the system, thus making life so much easier for the clients and reducing their operating costs. 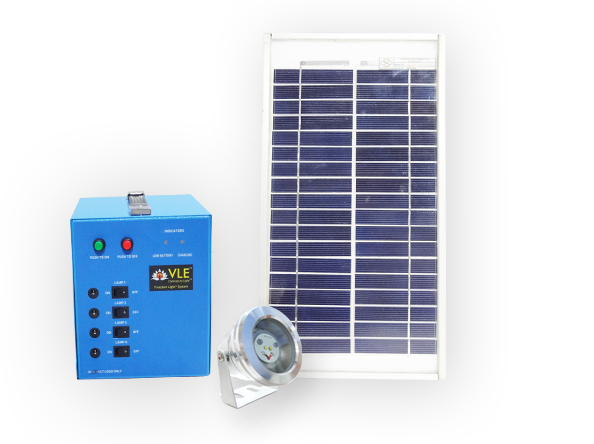 It may be noted that all four of the MNRE FLS’s have been designed to allow the client to charge a mobile phone at least once a day.